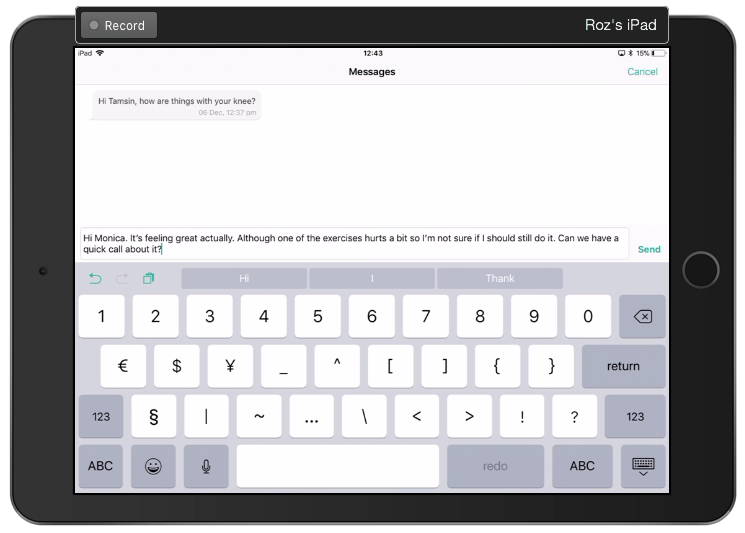 Physitrack allows you and your clinician to communicate directly through PhysiApp. Tap on the Messages menu at the bottom of your screen, and enter your year of birth to access this function. 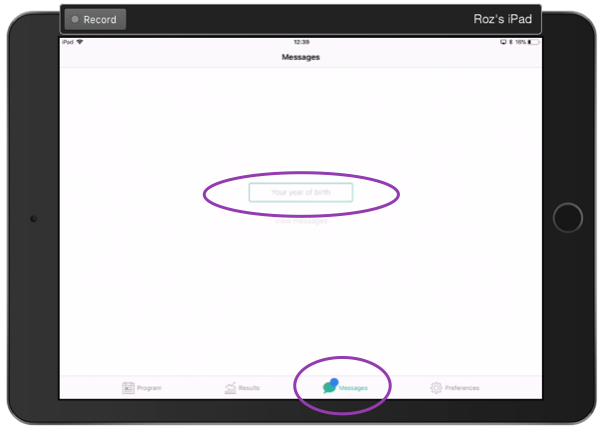 If you have an unread message from your clinician, a blue spot will appear on your messages menu (as shown below). Once in, you can read and reply to any messages from your clinician (tap "New" in the top right corner to reply to a message). Note: Your clinician may disable this function for all of their patients, so this facility may not be available to you.